dtSearch - Case Study - Contegra Systems, Inc. Since 1987, Contegra Systems, Inc. has been servicing its clients by creating customized and profitable information solutions online and on CD. Contegra Systems specializes in various types of professional publishing, offering solutions for manufacturers, scientific, medical, and reference and journal publishers. The company's full range of services include needs assessment, project management, product design, feature implementation, and technical support. 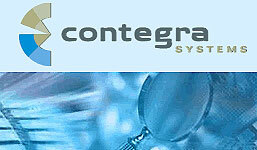 One of Contegra Systems' technical specialties is their spare parts and "aftermarket" services. Contegra Systems' most recent online parts catalog includes easy lookup of assemblies, part numbers, item descriptions, along with interactive illustrations for each part. It's simple search and navigation tools make it a user-friendly service. In addition, the catalog is fully e-commerce enabled, allowing purchasing online of any part directly from diagrams or parts lists. The parts catalog is complimented by Contegra Systems' TechDoc service which publishes all accompanying service, operation and repair manuals. TechDoc enables users to browse or search vast collections of documentation using the dtSearch Engine. Documents can be stored in a variety of native formats including PDF, HTML, or XML. This end-to-end solution can be instantly updated to provide access to the latest spare parts and related repair information. In the past, Contegra Systems had used other search engines to showcase their parts catalog and documentation solutions. However, recently Contegra Systems made the switch to the dtSearch Engine. "The dtSearch Text Retrieval Engine was the best choice to support our XML structure and ASP programming scripts," said Rob Wiesenberg, President of Contegra Systems. "dtSearch makes it possible for our customers to perform extensive searches on specific parameters, and fields. It also makes finding information extremely accurate and fast with the use of full text and natural language searching." For more information about Contegra Systems' TechDoc and Parts Catalog services, please call (914) 328-2269, email info@contegrasystems.com, or visit them on the Web at www.contegrasystems.com.